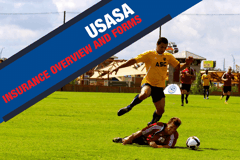 USASA provides several options for state associations and leagues to decide on the appropriate coverage needs. Such as when a player might kick a ball wrong and injures leg or maybe a player slips and breaks a leg on field. The options include the following: no accident coverage, $5,000.00, $10,000.00 or $25,000.00 maximum in a schedule benefit plan with a $400.00 deductible. The plans are in place to fill gaps, holes, deductibles, co-pays and coinsurance on participant’s health policy. This is a secondary coverage which means it pays after your health policy pays. The accident insurance is intended to act as a secondary policy to a member’s primary insurance. If no primary insurance exists this then your USASA plan becomes the primary policy. With the skyrocketing expenses and expanding changes in health care with The Affordable Health Care Act or as most know it “Obama Care” the need for secondary insurance is almost a must. Most plans today have even more deductibles, co-pays and coinsurance conditions which make USASA’s secondary coverage’s even more attractive. The combination of General Liability and Participant Accident Coverage, secure good fields and gives comprehensive protection to participants and entities. These protections give peace of mind to all participants and their families as it removes some of the risk of playing a contact sport. Below is intended as a general description of excess plan benefits available under the Participant Accident Policy. 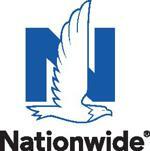 INSURED PERSON means each person who qualifies as a “Member of a Team” during the Team’s Sport Coverage Period. COVERED ACTIVITIES: This policy covers injury resulting from accident which occurs during the Sport Coverage Period for the Insured Person’s Team while he or she is (a) participating as a Member of a Team in a scheduled game, an official tournament game, or in a practice session of the Team; or (b) traveling directly to or from a game or practice sessions as a Member of a Team. 16. Expenses covered under any automobile reparations insurance (no-fault) or automobile insurance medical payments benefit. SPECIAL NOTICE: This is only a very general reference to what coverage(s) the insurance policy or policies provide and is not intended to attempt to describe all of the various details pertaining to the insurance policy. Actual coverage’s are detailed in the policy and are always subject to all terms, provisions, conditions, and exclusions as contained therein. You should not rely upon this general summary, but should consult the actual policy language for a complete description and details regarding coverage.